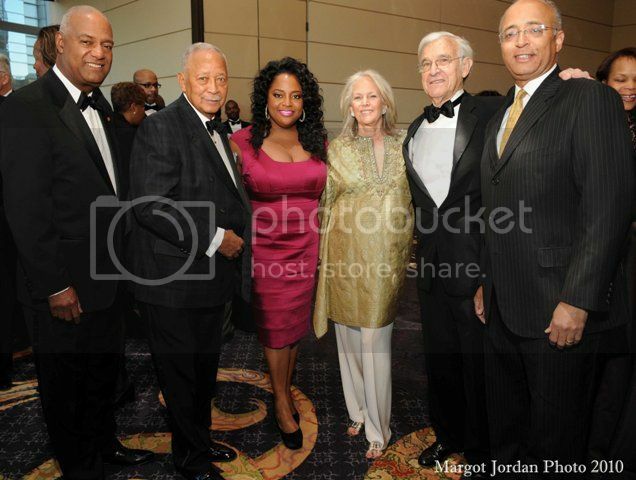 Noel Hankin, David N. Dinkins, event host Sherri Shepherd, Susan and Alan J. Patricof, and William Thompson, Jr. attend the New York Urban League's 45th Annual Frederick Douglass Awards Dinner, May 10, 2010 in New York City. 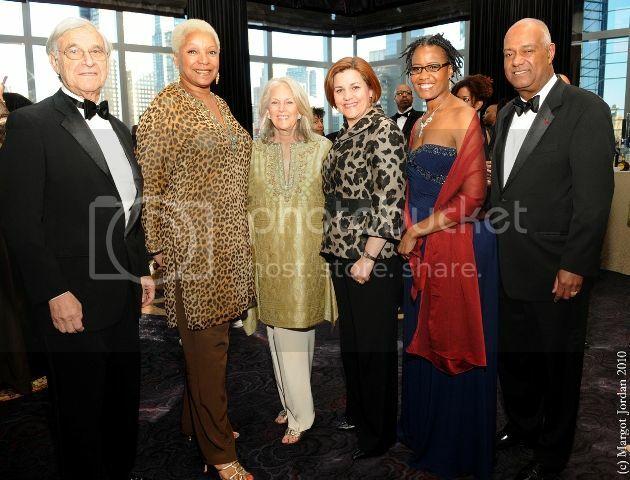 The New York Urban League Board of Directors and their gala dinner committee hosted the 45th Annual Frederick Douglass Awards Dinner at the Mandarin Oriental Hotel at 1 Time Warner Center in New York City on May 10, 2010. Honored at the dinner were Susan Patricof with the inaugural Ann S. Kheel Award; Scott Mills, President and COO of BET Networks with the Frederick Douglass Award; and Sullivan & Cromwell LLP with their Pipeline Crisis/Winning Strategies Initiative for young black men. Dinner co-chairs were Gideon King, CEO and Portfolio Manager, Loeb Partners; Debra L. Lee, Chairman and CEO of BET Networks; William M. Lewis, Jr., Co-chairman of Investment Banking, Lazard; Basil A. Paterson, Esq. Partner, Meyer, Suozzi, English & Klein; and Lynn Whitfield, Actress and Activist. 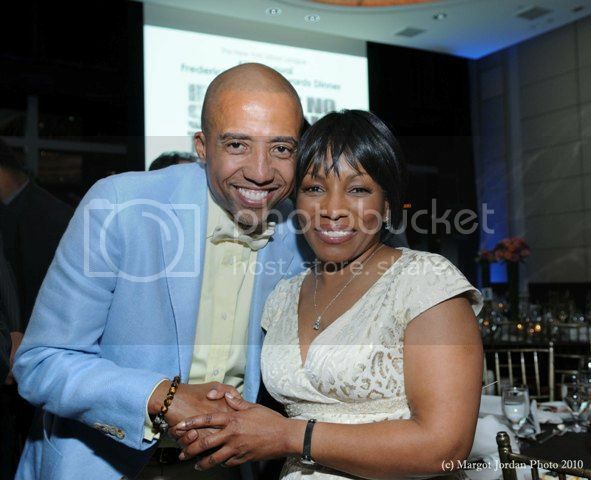 The black tie event featured a special performance by Stephanie Mills. The Frederick Douglass Awards Dinner was initiated in 1965 to acknowledge and honor leaders in the private and public sectors whose contributions to society serve to eliminate racial barriers and promote opportunities for the disadvantaged. Proceeds from the dinner supported the New York Urban League's efforts to positively impact the lives of more than 15,000 directly and 35,000 indirectly to under-resourced residents annually. 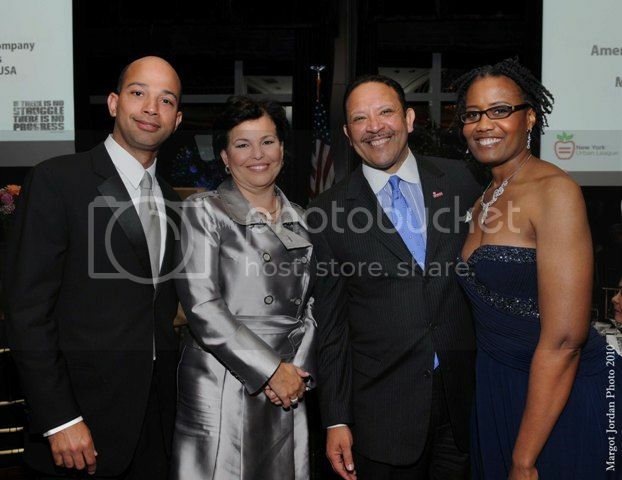 During this current period of increasing economic challenges, support of the awards dinner and the Urban League’s programs and services was ever more critical. Photos by New York Based Photographer Margot Jordan, (646) 226-6652.